As the momentous words "England is now, therefore, in a state of war with Germany" came sombrely over the radio, Biggles knows that they are all in for another spot of war flying. Almost immediately Air Commodore Raymond is in touch. He is back at his old job in Air Intelligence and has a proposal for Biggles. Britain has purchased from a neutral country a small island called Bergen Ait in the Baltic Sea, which has a huge cave inside. This has already been fitted out as an air base and fully stocked with supplies. 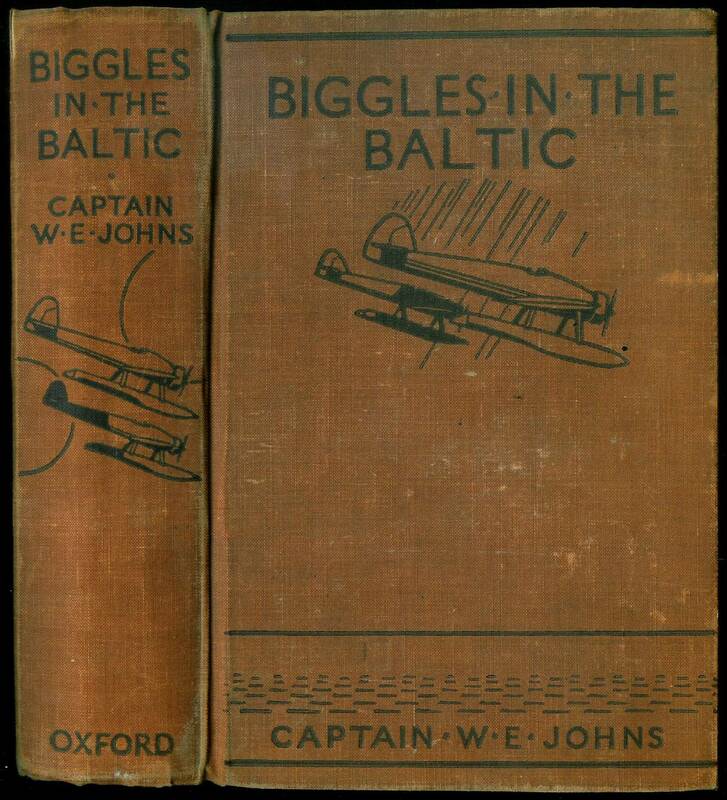 Biggles, Algy and Ginger, together with Flight Sergeant Smyth, his son Roy (as wireless operator) and Raymond's old cook William Salt (known as 'Briny'), form 'Z' Squadron and are taken to the Baltic island by submarine. Their four aircraft are already there and are all given Australian names as they intend to strike and return like Boomerangs. Ginger's is called Dingo, Algy goes for Didgeree-du and Biggles calls his aircraft Willie-Willie. The fourth plane, a spare is named the Duck-billed platypus. Various dangerous missions take place. A German U-boat, U159, arrives and has to be quickly sunk before it can give away the position of their base. This has a particularly fortunate side effect when the German codebook is washed ashore amongst the debris. A German Dornier flying boat follows and has to be shot down, but not before Ginger's plane is hit. Ginger lands in the sea and Biggles lands to pick him up. The Dingo is set alight in order to destroy it. Weather conditions prevent them all from returning to their base and so both Algy and Biggles, with Ginger on board, fly to the first available land, which is a sandbank. They soon discover they are on German soil and find the German liner Leipzig, now being used as a troop ship, hidden in a channel. When the weather improves they all return to Bergen Ait but find that Briny has disappeared. Convinced that our heroes were down on the water he had set off in a boat to look for them. The following day, Biggles and Algy split up and set off to look for Briny. Algy finds Briny stranded on the same sandbank they had previously landed on, whilst Biggles separately finds his boat by a neutral ship. Landing, Biggles is captured by none other than Erich von Stalhein himself, who is flying a false flag. Biggles' aircraft is destroyed and Algy later finds the wreckage. Meanwhile Ginger goes exploring a cave at the back of their island base and finds himself stranded at the top of the island. 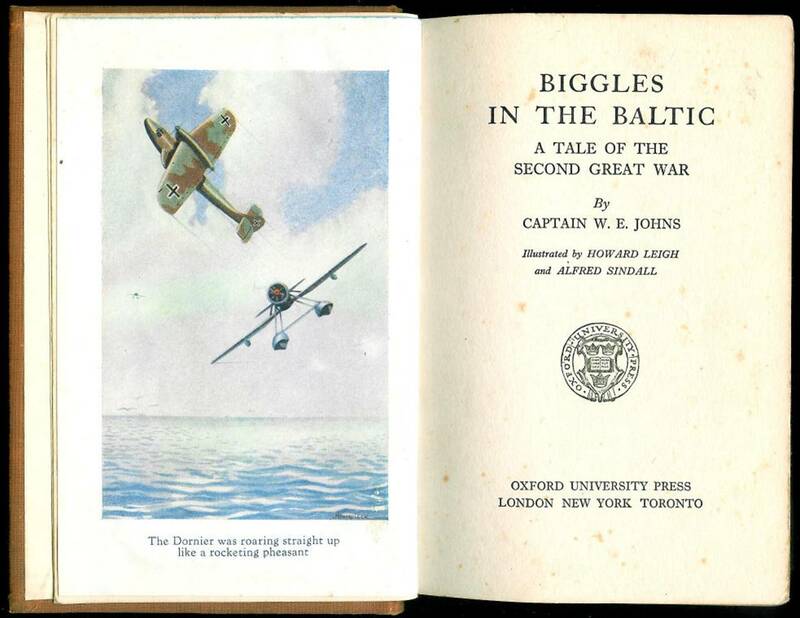 Biggles is taken to the Leipzig and tried and sentenced to be shot. He is saved when Algy torpedoes the Leipzig. Biggles swims back to the sandbank where he unexpectedly meets Algy who has come to blow up a German supply depot there. An exhausted Biggles is returned to Bergen Ait where Algy leaves him to sleep whilst he, Algy, continues with the destruction of the depot. Biggles wakes up to find von Stalhein standing over him! The Germans have found and taken their base! Algy returns and is forced to land on top of the island where he meets up with Ginger. Smyth, Briny and Roy have all taken refuge in the cave at the back of the base, which leads them eventually to Ginger and Algy. Ginger returns to the base in time to see Biggles about to be shot and manages to open fire and get him away. Our heroes are reunited. Biggles blows up an underground lake in order to destroy their base and wash away the Germans. Algy tries to take off but crashes in the sea. A British submarine arrives in order to collect the German codebook and this is enough to see the remaining Germans off. Algy then uses a captured German flying boat to drop parachutes to our heroes stranded at the top of the island after the explosion. They use these to jump off and are collected from the sea by Algy who then flies them all home to England. The first edition of this book has an asterisk * on the title page. This normally denotes a reprint but in this case, uniquely, it is the first edition that has it.